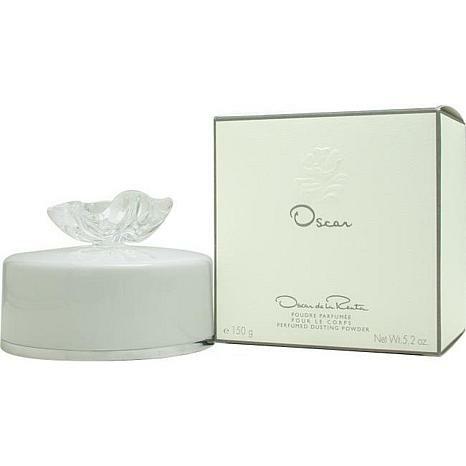 Launched by the design house of Oscar De La Renta in 1977, Oscar Body Powder 5.2 oz is a womens fragrance that possesses a blend of Bergamot, Clove, Coriander, Jasmine, Rose Oscar is recommended for evening use. This item may not ship to Alaska, Guam, Hawaii, Puerto Rico, or the Virgin Islands using a ground shipping method. Please select an air method when ordering this item for those locations. All Orders must also have a physical address and not a P.O. Box. Talc . Magnesium Carbonate . Parfum (fragrance) . Linalool .alpha-methyl Ionone . Limonene Methylparaben . Coumarin . Geraniol .benzyl Benzoate . Hexyl Cinnamal. Eugenol . Hydroxycitronellal . Citronellol . Benzyl Salicylate . Isoeugenol . Cinnamyl Alcohol . Citral . Farnesol .amyl Cinnamal . Hydroxyisohexyl 3-cyclohexene Carboxaldehyde . Benzyl Alcohol . Benzyl Cinnamate ."40a02-2". Love this body powder. 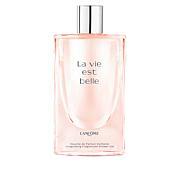 Most Luxurious, & has a silky feel with a refined & long lasting fragrance. Very exceptional. I bought this as a gift I like the fragrance, and the container is pretty . It's so hard to find body powder any more. I love this Body Powder because it stays with me all day and everyone the smell me says how wonderful I smell. I have worn Oscar de La Renta for the last 20 years and absolutely adore his "CLASSIC" Oscar! Thank you for bringing it to HSN! I DID NOT LIKE RETURNED THIS IS SO DIFFERENT FROM THE OSCAR PARFUM. I DIDN'T EVER BREAK THE SEAL OVER THE POWDER ALL I HAD TO DO WAS SMELL THE COVER. IT IS A BEAUTIFUL CONTAINER AND PUFF. ALSO I THOUGHT EVEN WHEN I ORDERED THAT IT IS VERY PRICEY I GIVE LESS FOR THE OSCAR SPRAY PARFUM. BATH POWDER IS HARD TO FIND I WISH THIS HAD WORKED OUT.